Why Top Up Loans are better than Personal Loans? 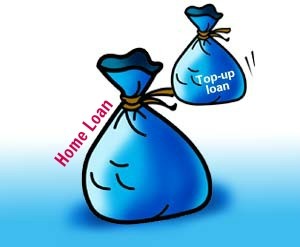 You are here: Home / Loans & Credit / How Top Up Loans are good alternatives Of Personal Loan? How Top Up Loans are good alternatives Of Personal Loan? Sometimes, all your dreams need is that extra help to transpire into reality. Chasing after your dreams with a leaky piggy bank, are you? A loan could be just the thing that corks the gaps in your financial plans. In the loan market there are a myriad of options to choose from and a prodigious number of lenders. The challenge is how to decide on which product fulfills your needs best. One such lesser known option is Top Up Loans. In other words, if you have an active home loan account with XYZ Bank then you could ask for an additional loan, over and above your outstanding loan amount. It will not be counted as a realignment of your home loan outstanding. This is because the proceeds from a Top Up loan can be used for anything you wish vis-à-vis a home loan is used only for purchasing or constructing a house. You can use your Top-Up loan for anything like pay off other debts using this loan, buy a car, fund a business expansion, marriage, child’s education, vacation, etc but not for speculative purposes. You can even use it to make a down payment on another property you intend to buy. Who Offers Top Up Loans? Private banks, PSU banks, Housing Finance Companies and NBFCs that operate in India namely, HDFC, Citibank, ICICI Bank, ICICI HFC, SBI, Bajaj Finserv, etc. offer this product to resident Indians. Though it is a standard product yet companies do differentiate on sanction limit, interest rate, tenure etc. Each of them has distinct eligibility norms. It is, therefore, important to acquaint yourself with the details of the loan before you dive into it head first. You must have an existing active home loan account that can be topped upon. Financial institutions wait until a certain period has elapsed on the home loan, such as 6 to 12 months. This is to establish a payment record, based on which they measure your creditworthiness. In case you opt to transfer the outstanding balance of your home loan to another bank then you can ask for a Top-Up with the new bank. If seeking a balance transfer then, financial institutions will analyse your payment history with the old bank and based on that approve your loan. The tenure can be anywhere between 15 years (Ex: HDFC) and 20 years (Ex: ICICI) or equal to the tenure of the home loan. The tenure on a top-up loan can never exceed the tenure of the base home loan. Banks keep a lien that is first mortgage on the property against which the loan is taken. This means that your property is used as collateral for the top up loan. An upfront fee is charged by the credit institution to process the loan. There are pre-payment and foreclosure fees too, which the borrower must be aware of. The documentation is pretty simple for it is offered to existing customers. Even if it is a takeover account, you must complete most formalities at the time of takeover for home loan account. It is not the same as Loan against Property because here the loan is being topped-up on an existing home loan. LAP is taken against a property which is not mortgaged with anyone else. Tedious documentation compared to top-up loans. Top Up loans are much better than Personal Loans. The amount of top-up loan that you can take could fall short on your financial requirement. At such a time taking a personal loan would make more sense. When you opt for a top-up loan with balance transfer, do the math on processing fee and foreclosure fee on previous loan account. It may not always turn out to be the most economical option. Any pre-payments to home loan will be adjusted towards the top-up account first. Some loans like Loan against LIC and Loan against FD may have a lower interest rate. In short, top up loans do seem like a quick antidote for funding your requirements. However, ensure that you have examined all aspects of the loan before you go ahead with it. This guest post is authored by Arun Ramamurthy of Credit Sudhaar. 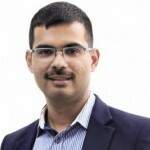 Arun is an IIM alumnus with work experience at leading global banks in India.He is the co-founder of Credit Sudhaar, a company which aims to spread awareness about importance of credit health and help people achieve their financial objectives. How your Credit Score works? Maintaining a Good Score can Save Money!!! Kindly note that Relakhs.com is not associated with Credit Sudhaar. This post is for information purposes only. This is a guest post and NOT a sponsored one. We have not received any monetary benefit for publishing this article. I want to borrow some amount. I have learned that banks have a certain eligibility criteria for the borrowers. Do other platforms also have these like peer to peer lending? Dear Vikas ..RBI has yet to release the guidelines for P2PL platforms, so its better to wait before venturing into them. I bought a flat with a home loan from ICICI bank by borrowing 20 lakhs in 2012. At present my home loan outstanding balance is 6 lakhs . I did part payments yearly thrice from my savings. Now whether I can top up the loan by 10 lakhs & the same money can be used for my son’s eduction? Yes you can do so. Regarding the eligibility rules, kindly contact your banker. Going forward, suggest you to kindly invest for your long-term goals instead of part-paying your home loan. For long term goals which are best options apart from equity & MF? Dear BR – Kindly read : List of best investment options in India.